Des Bowman has written Without Love I Am Nothing out of his experience being exposed to domestic violence in his own home, and he understands the vulnerability of young children who have also experienced that violence in their lives after his own 16-year journey of healing. Des Bowman has been married to his wife, Ann, for over 41 years, and together they have 2 children and 7 grandchildren. 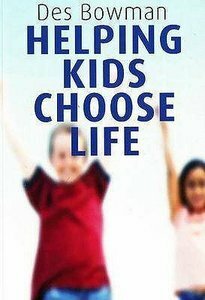 Another of Des's titles is Helping Kids Choose, which has been very successful helping troubled children throughout Australian schools and is now highly sought after. Des and Ann live on the Sunshine Coast of Queensland, Australia.